Can you imagine driving a race car with only bicycle brakes to stop you? In this digital age, our students’ brains have been trained like race cars by the volume and speed of information that they have been processing since a very young age. But what happens when they must slow down and process information in a non-digital setting, like a classroom? 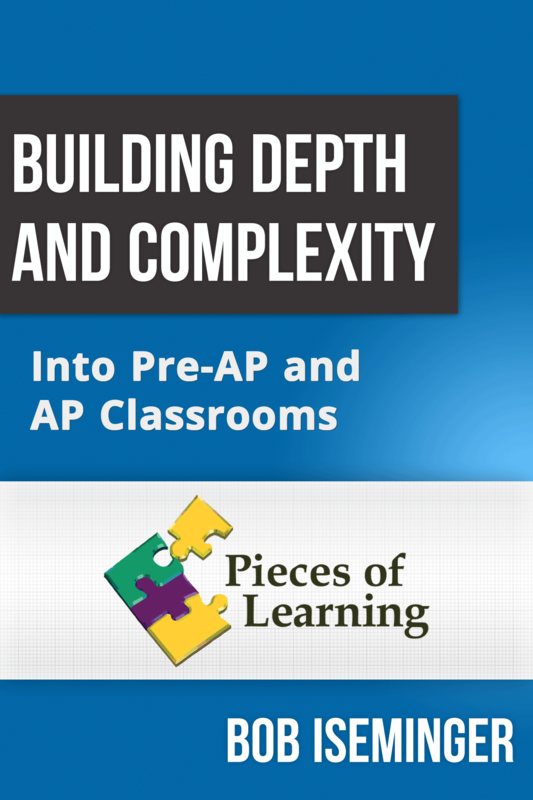 In this course you will learn how to identify the effects of digital media on students and how to apply proven methods for adding depth and complexity to your AP and pre-AP classrooms. Today’s students live in a media-saturated world. Their brains are constantly bombarded with sensory information and research shows it has affected the way they learn and process information. Educators need creative strategies and innovative ideas for engaging students, particularly those in the AP and pre-AP classes, in order to make them college and career ready. Bob Iseminger has over 25 years of experience in public education as a classroom teacher, math resource teacher, and coordinator of a gifted education magnet center. He has worked in both urban and suburban settings at the elementary and middle school levels and in a consulting capacity with high school students. Bob was named Teacher of the Year by his local district. He has been a member of the adjunct staff at Hollins University where he has taught methods classes in the Masters of Teaching Program. For 10 years, he had taught gifted licensure courses for the state of North Carolina. Bob currently serves as a staff development consultant for school districts nationwide in addition to making presentations at state gifted conferences.